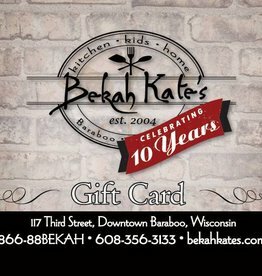 Purchase a Bekah Kate's Gift Certificate for $100 here! Purchase a Bekah Kate's Gift Certificate for $75 here! Purchase a Bekah Kate's Gift Certificate for $50 here! Purchase a Bekah Kate's Gift Certificate for $25 here! Purchase a Bekah Kate's Gift Certificate for $150 here! Purchase a Bekah Kate's Gift Certificate for $125 here!